The CWL Dallas champions are on the verge of winning back-to-back events. 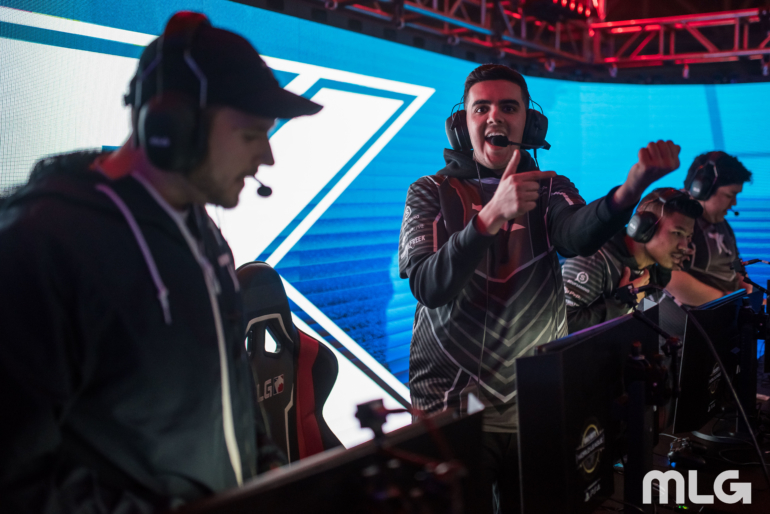 Team Kaliber, the champions of last month’s Call of Duty World League Dallas Open, have advanced to their second-straight grand finals with a 3-1 series victory over Luminosity Gaming on Sunday. The win marks tK’s seventh consecutive series win at the CWL New Orleans Open, and their 15th straight series win overall. They have yet to lose a match on LAN in Call of Duty: WWII. Starting the series on Gibraltar Hardpoint, Luminosity jumped ahead in the series count with a 53-point win. Instead of the usual slaying by Sam “Octane” Larew, it was Josiah “Slacked” Berry and Jordan “JKap” Kaplan who took over with 31 kills from each of them. Team Kaliber responded on USS Texas Search and Destroy with their captain Dylan “Theory” McGee leading the way. His 11 kills made up nearly half of his team’s kill total in their 6-3 victory. Flak Tower Capture the Flag was a game controlled by tK from the beginning. Despite there only being a two-point deficit in the final score, LG had to remain on their back foot due to tK’s aggression, which limited their opportunities to get captures. The final game of the series, Sainte Marie du Mont Hardpoint, was the most intense one. LG held the lead for most of the game with John Perez leading the way in the slaying department. Unfortunately, his 38 kills weren’t enough to push his team to victory. Instead, tK pulled off some incredible late-game plays to shut down LG and move on to the grand finals with a 250-243 win. Luminosity isn’t out of it yet, though. With the loss, they have been sent down to the losers bracket, where they will face Rise Nation. If they win that game, LG will have their chance at revenge against tK in the grand finals.